Summer is here, if you haven’t made plans yet don’t worry that sunny season will pass without you having some fun. P&O Ferries have some of the hottest events happening in Holland 2016 for you to have some fun in the sun. The major holiday season in the Netherlands runs from April right through to Autumn, but the high point is around July overlapping in to August. There’s no need to be concerned about hospitable climes though some sun screen will certainly help if you’re attending the parades and festivals. 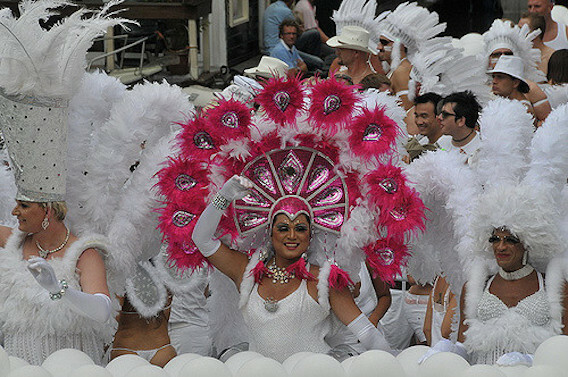 The first weekend of August is all about Gay Pride Especially in Amsterdam this one of the biggest events of the season. What will seem like the entire city comes to a standstill and erupts in to a 48 hour party. This is one of the grandest Gay Pride events around the globe, Holland has long been at the forefront of sexual equality pioneering gay marriage and also monuments for homosexuals. Everyone is welcome to join in the fun, so come along to show solidarity an open heart is all that’s required. Upwards of half a million spectators are expected to view the canal parade that marks the occasion; long boats and floats will travel the canals of the Dutch capital with fabulously bedecked flag wavers of the gay community to fan the flames of Gay Pride in Amsterdam. On the same weekend just one city over in the Hague the Westland Floating Parade will also be happening. Should you be fresh off the P&O Ferry at Rotterdam’s Port you should absolutely stop by to witness it. The Westland is the third largest economic driver in the Netherlands – the floating parade is opportunity for the spoils of this force to be put on show. 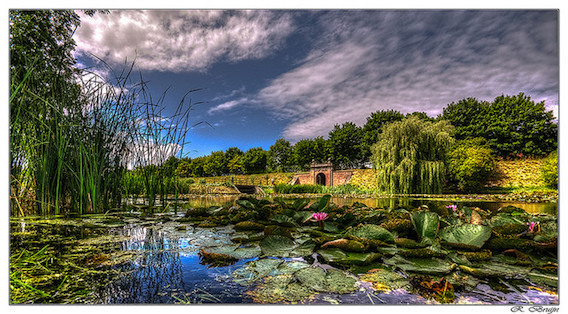 With an emphasis on entertaining and amazing, growers of all kinds of produce from flowers to vegetables and fruit invigorate 60 canal boats to amaze crowds reaching up to 300,000 with the glorious abundance of their bounty. You’ll want to pick out your spot in advance, the parade lasts three days passing through the Hague, Delft Vlaardingen and few other locations. To get a taste of some the fresh goods floating by in the parade we suggest you stop off at The Hague Market on Herman Coster Street. This is the largest outdoor market in Europe, locals call it the ‘Haagse Mart’ you’ll be able to buy just about anything you can imagine here on Mondays, Wednesdays, Fridays and Saturdays. What makes this market in particular so unique is that it lies at the fault lines between the Hagues two multicultural districts – this gives it such a diversity that they estimate a footfall of around 25,000 people visit it daily. Up to 500 different stalls are set up come hail or high water, you’ll easily be able to get to and from the Market via tram – this is a brilliant way to quickly get the pulse of the city or try or immerse yourself in Dutch society. Throughout the year from April to September 2nd each Friday between 10AM and 12:30PM cheese hauler and official of the cheese guild ply their wares and showcase the forms of their fathers in cheese flinging displays. A truly staggering sight to behold, and certainly fun. The first and final cheese markets of the year are always worth a visit for the spectacle that is put on purely for the love of tradition and cheese. If you’re a fan of cheese then stop by on your way to or from Amsterdam. 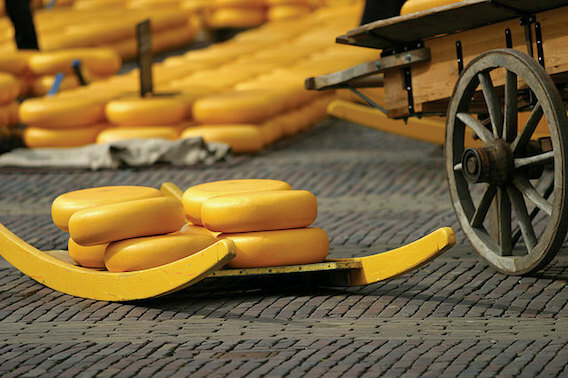 For more information about the Alkmaar Cheese Markets click here. What better way to bring your summer holiday to an end than with a bang? Scheveningen’s International Fireworks Festival is on between August 12 and August 20th. This is no ordinary display, competitors from around the world come to showcase the latest innovations in pyrotechnics to put on truly awe inspiring displays. Provided the weather holds the fireworks festival runs four nights in a row and there are fairly formal rules for competitors. Each entrant has to assure that 80% of their fireworks are manufactured in their home country and you are granted 11-13 minutes to wow spectators. If you are in Holland this August it will certainly be worth your while to spend an evening in Scheveningen – if you need help finding it, simply look up. Come to Holland this summer with P&O Ferries, the Hull to Rotterdam crossing is taking bookings now!